Written by Janet Choi on April 2, 2015 . Sales don’t happen in an instant. Yet there’s a common misconception that sales works like a chain reaction or an impulse buy. That candy bar you pick up while waiting in line at the grocery store? See – want – add to basket – pay – done! Selling, especially in this modern age, isn’t so simplistic or immediate. As Daniel Pink, bestselling author of To Sell is Human argues, selling is about persuasion, influence, and moving people enough to convince them “to part with resources— whether something tangible like cash or intangible like effort or attention— so that we both get what we want.” Persuasion takes time — and it’s actually online retailers who’ve taken this lesson to heart. They realize that they’re up against competing forces of life, distraction, and busyness. People browsing in a store online are also thinking about what to have for dinner, worrying about that unfinished project at work, skimming Facebook, checking email, swiping on devices and opening more browser tabs than humanly readable. Enter the abandoned cart email. If you’ve ever left a site without buying an item in your cart, you’ll often get this kind of message a few hours to a day later — ideally when you’re less busy with fewer tabs and thoughts — reminding you of the lonely item still waiting to fulfill its purchase destiny. 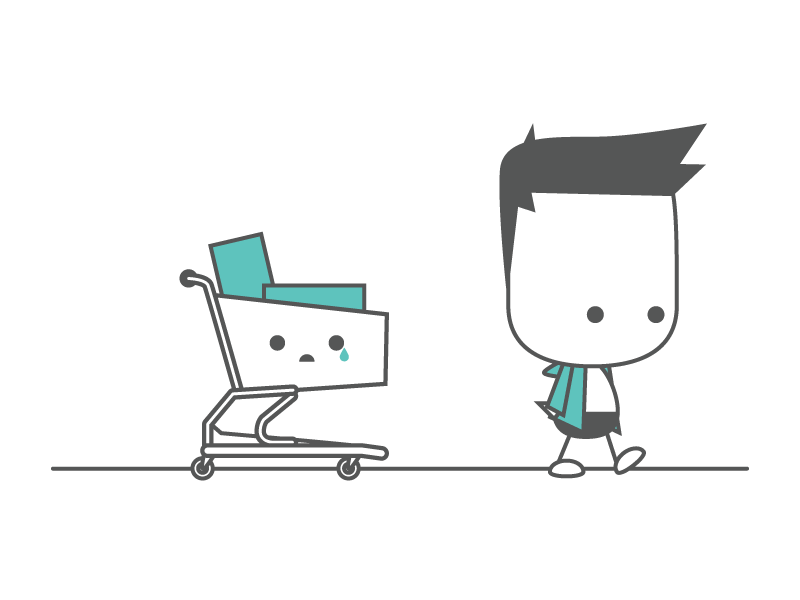 The abandoned cart email is one of the most powerful tools in a retailer’s arsenal to increase sales — and if your SaaS business isn’t using similar tactics, you’re leaving money on the table. At first glance, an abandoned cart looks like a lost sale. With up to 99% of first-time visitors to online stores not making a purchase and an average 68.07% of online shopping carts abandoned, retailers seem to be utterly failing their customers. SaaS companies aren’t much different, with conversion rates that can feel distressingly low. “The typical software company has less than a 2% conversion rate on their free trials,” reports Patrick McKenzie. He also estimates that “40-60% of users who sign up for a free trial of your software or SaaS application will use it once and never come back.” Yet according to shopping cart research from SeeWhy, 75% of online shoppers do actually intend to buy. Most people don’t make a purchasing decision immediately — but that doesn’t mean they won’t be ready to do so later. 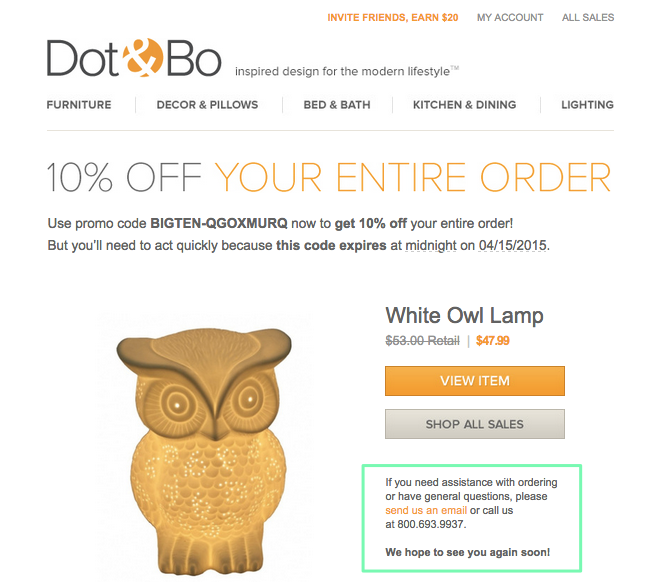 The abandoned cart email is a reminder to customers that revives their original intent to buy. Similarly, your month-long free trial, as Patrick suggests, might be over in a matter of five browsing minutes — but your window of opportunity hasn’t yet closed. A failure to convert from a signup or trial doesn’t always mean your product wasn’t a good fit. Your would-be customer might have simply abandoned your offering in the cart. So are you sending any abandoned app emails? 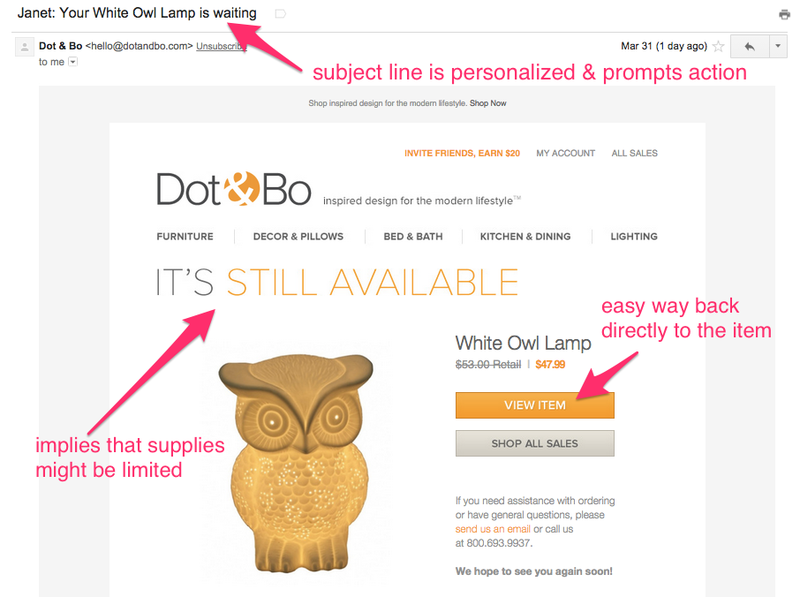 Abandoned cart emails tend to be very effective. According to Salescycle, open rates for such emails are “well above 50% and more importantly, conversion rates around 30% across the board (that’s over 3x the rate of traditional marketing emails! ).” And if the typical conversion rate on free trials for SaaS is around 2%, as Patrick says, “altering the behavior of any two trialers out of a thousand would increase sales by 10%.” Numbers aside, abandoned cart emails work because they adhere closely to the two most important rules for email success: be relevant and timely. 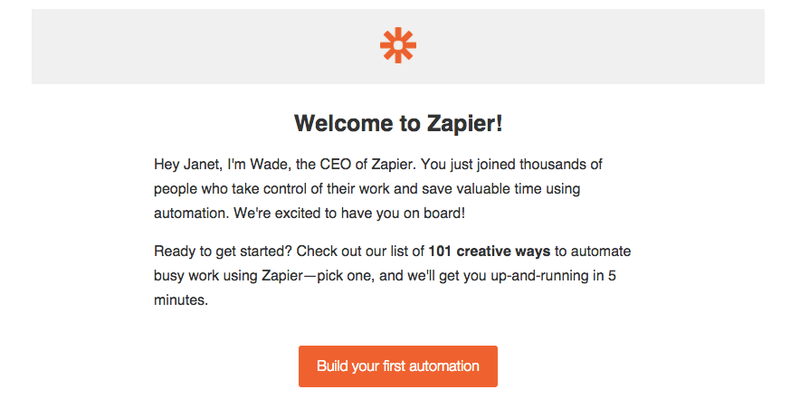 These are personalized emails, based on your behavior, nudging you to do something you had some interest and intention to do in the first place. 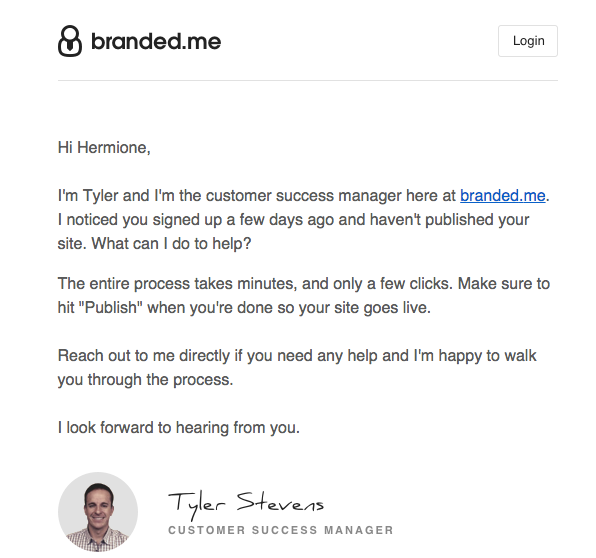 If that sounds very similar to lifecycle emails, that’s essentially what these abandonment emails are in the SaaS context — persuasive messaging on onboarding, activation, and retention, usually triggered by the fact that a user hasn’t completed an important action. 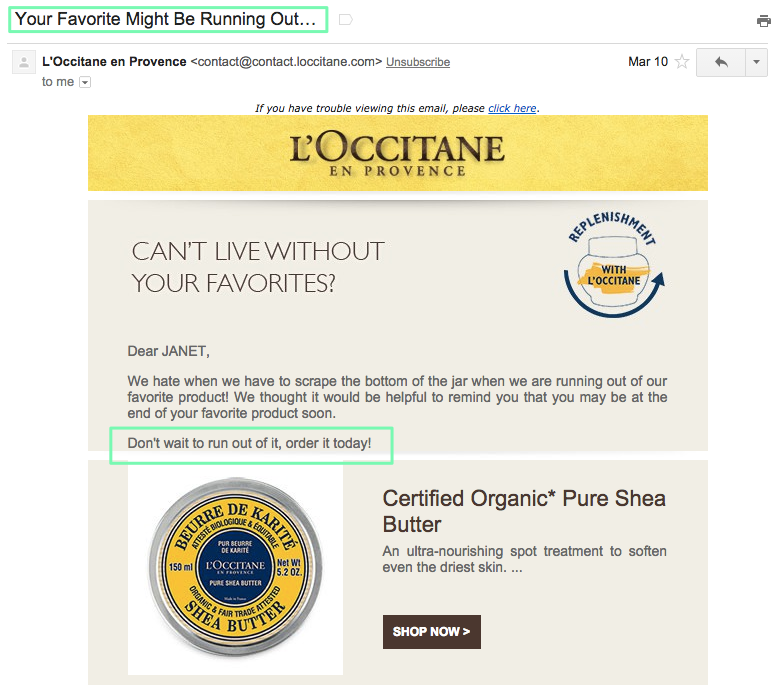 Here are a few takeaways from retailers’ abandoned cart emails that you can apply to those lifecycle messages to rescue your product or service from getting ditched too soon. you might imagine if it’s a bigger purchase … a two-hour reminder may be too soon because, essentially, they’re considering this and running it by a family member or housemate and thinking about their budgets. For SaaS products, the purchase timeframe probably stretches out beyond a matter of hours or a day or two. Take a look at your data and see how long it takes, on average, for customers who convert and use that as a benchmark to start testing your email timing. Retailers get a bad rap for their email frequency, so much so that the rest of us may overreact by shying away from communicating about our product at all. Marketers and businesses also get caught in the acquisition part of the job — that all you have to do is simply reach people with the intention to buy your wares to make the sale. But if you’re not sending any type of “abandoned app” emails, you’re very likely abandoning your customers. Leaving people to their own busy, distracted devices after they’ve expressed initial interest by signing up for a trial or take a look around is a missed opportunity to help them follow through. How long do your customers typically take to make a purchase decision? Share your thoughts and comments with us!